One of the most annoying things about modern-day plane travel (and I fully acknowledge that this is 100% a first world problem) is the fact that airports aren’t equipped to charge all of the gadgets that we have come to rely on more and more. From everything from entertainment to logistics, phones are an essential part of travel in 2015. I often don’t even bother printing out boarding passes anymore and instead just use the digital ones on my phone. But what happens if my phone dies in between flights and all of the (very few) outlets are taken? Being stuck without power in a situation like that adds frustration on top of the already often exhausting and frustrating process of traveling. 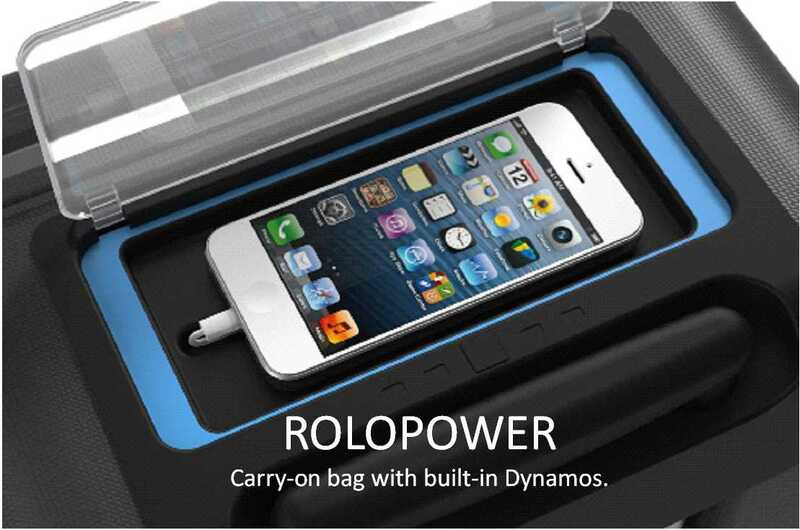 Rolopower Bag is a company that wants to make sure that no traveler ever gets stuck without power again. The bag generates power through two generators – one in each wheel – that create energy as you walk and they rotate. That energy is then stored in a large battery back inside the structure of the bag. If you’re not doing a lot of walking, you can also charge the battery with an external USB cord. If you really need to know exactly how charged the battery is, you can also check out the app that comes with the Rolopower Bag. That app also tells you how fast you’ve been walking, how far you’ve gone, and your current location. It’s kind of like a fitness tracker and carry-on rolled into one. Also on the top of the bag is a place to store and charge your phone, complete with a clear cover so that you can see if anything comes through while your battery is moving toward 100%. And for those of you who care about looking good, the Rolopower Bag offers a few different custom accent colors.